In an episode of Business Insider’s podcast “This Is Success,” Case said the best advice he can give to entrepreneurs is that building a productive team of people with complementary skill sets is of utmost importance. He said the common saying, “If you want to go quickly, you can go alone. If you want to go far, you must go together,” captures a truth about the importance of partnerships to long-term success. 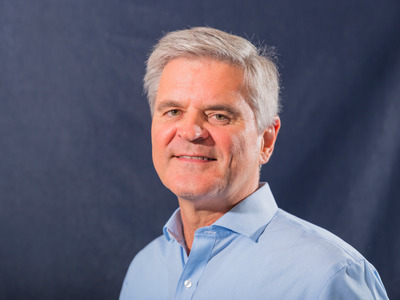 As the founding CEO of AOL, the first internet company to go public, Steve Case is an icon of the first wave of the internet. Case left AOL in 2005, and has since built a large portfolio of startups through his venture capital firm, Revolution. He’s spent the past five years travelling the United States, often in a bright red or blue bus, investing in cities outside of the centres of American venture capital- Silicon Valley, New York City, and Boston – as part of Revolution’s “Rise of the Rest” initiative. Whether it’s a place like Louisville, Kentucky or Salt Lake City, Utah, Case and his team don’t simply pass through for a day and drop off some money, but build long-term relationships with founders and local power brokers to ensure the startup scenes thrive. And as he told us in an episode of Business Insider’s podcast “This Is Success,” the best advice he gives is, “It ultimately comes down to people and teams, that entrepreneurship is a team sport, it’s not about any one person.” He warns against the ego boost that can come from external expectations of the founder. “The founding CEO tends to get most of the attention, but it really is a team effort,” he said. Case said he’s a fan of the proverb, “If you want to go quickly, you can go alone. If you want to go far, you must go together,” because it’s a pithy expression he sees as capturing the importance of partnerships. In the interview, he explained that AOL became a massively successful company in the 1990s because of its founding team, even though being the face of the company could give the perception most of it rested on his actions. It was also, he said, the lack of strong relationships between AOL’s and Time Warner’s teams was a major factor behind that $US162 billion mega-merger’s ultimate failure. Case believes that the US is at the start of the “third wave” of internet companies, ones that will turn “the internet of things” from a gimmick into the industry-changing “internet of everything,” and that success in this environment will make partnerships between startups and established companies, and with government regulators, far more important than they ever had been. It’s why he’s built bipartisan relationships with politicians on both the federal and local levels, and why he’s built a diverse Rise of the Rest team that includes “Hillbilly Elegy” author and former Valley investor JD Vance and former Google for Entrepreneurs director Mary Grove.